Memory impairment is the most common symptom in patients with Alzheimer’s disease. 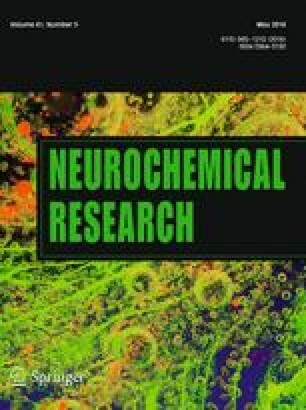 The purpose of this study is to evaluate the memory enhancing effects of P7C3, a recently identified compound with robust proneurogenic and neuroprotective effects, on the cognitive impairment induced by scopolamine, a muscarinic acetylcholine receptor antagonist. Different behavior tests including the Y-maze, Morris water maze, and passive avoidance tests were performed to measure cognitive functions. Scopolamine significantly decreased the spontaneous alternation and step-through latency of C57BL/6J mice in Y-maze test and passive avoidance test, whereas increased the time of mice spent to find the hidden platform in Morris water maze test. Importantly, intraperitoneal administration of P7C3 effectively reversed those Scopolamine-induced cognitive impairments in C57BL/6J mice. Furthermore, P7C3 treatment significantly enhanced the level of brain-derived neurotrophic factor (BDNF) signaling pathway in the cortex and hippocampus, and the usage of selective BDNF signaling inhibitor fully blocked the anti-amnesic effects of P7C3. Therefore, these findings suggest that P7C3 could improve the scopolamine-induced learning and memory impairment possibly through activation of BDNF signaling pathway, thereby exhibiting a cognition-enhancing potential. Bo Jiang and Lu Song are equally contributed to this paper. This work was supported by the Provincial Natural Science Foundation of Jiangsu Province (China) to Dr. Bo Jiang (No. 14KJB310013), and A Project Funded by the Priority Academic Program Development of Jiangsu Higher Education Institutions.